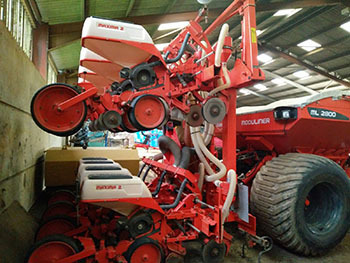 This extremely versatile machine can be used with the Kuhn 6m folding power harrow (included) with packer roller, which the Fertiliser tank then attaches to with the 8 row maize planter on the back of that. 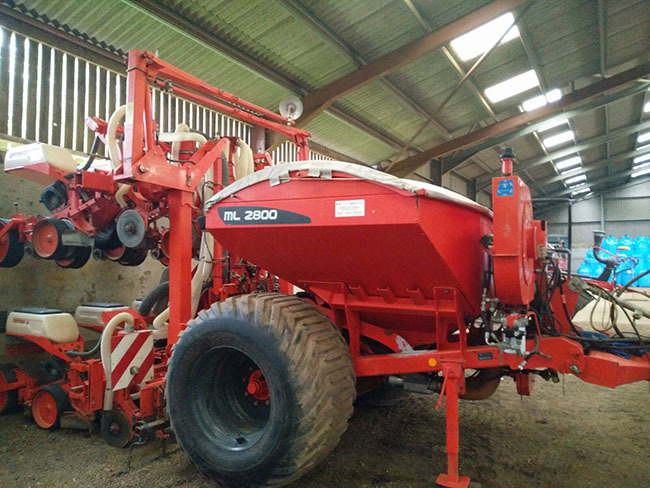 Alternatively the maize planter can be exchanged for a 6m folding disc drill unit and the fertiliser tank then becomes the seed tank. 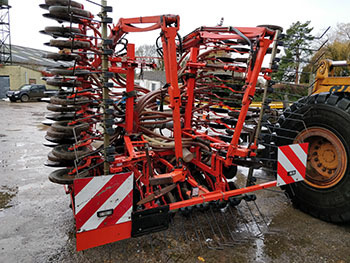 The power harrow has recent new quick change tines and the corn drill is ready to go to work. 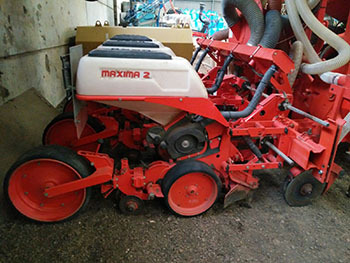 The maize planter would benefit from a service and a few wearing parts. 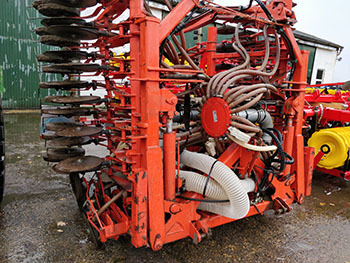 This machine is now sold, please contact us for details of similar drills expected in soon.